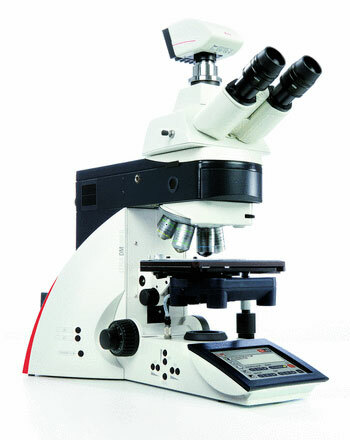 The automated Leica DM5000 B microscope for live cell analysis and cell morphology studies features a coded 7x nosepiece, manual z-focus, fully automated transmitted light axis, and automated 5x or 8x fluorescence axis. In addition to automated brightfield, darkfield, phase, and polarization contrast, the Leica DM5000 B features fully automated Differential Interference Contrast (DIC). Dedicated software together with the motorized fluorescence axis make the Leica DM5000 B ideal for advanced fluorescence applications involving fixed cells, live cells, and tissues. This model is also available with full motorisation.